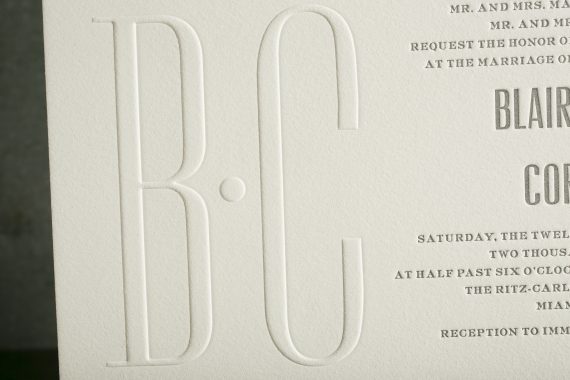 letterpress printing and blind embossing. 2-ply Bella Cotton white. 1 letterpress ink (cool gray 11). printed on our Heidelberg Windmill 10×15 and our Kluge 14×22. 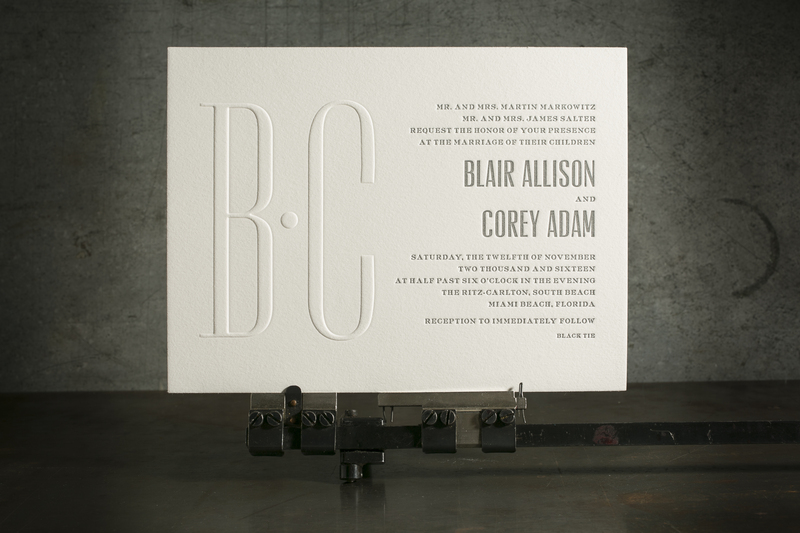 We created a custom design for Blair and Corey’s letterpress wedding invitations (6.125 X 8.125″). 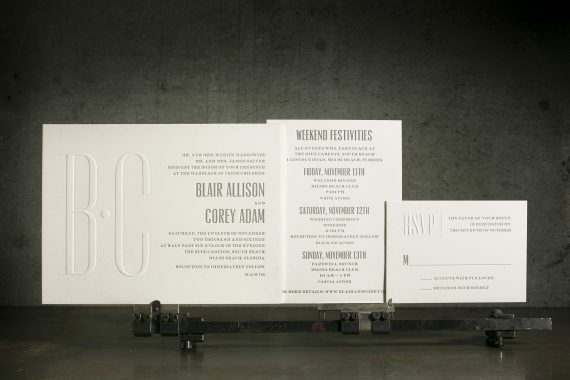 Their statement-making invitations featured an oversized, blind embossed monogram along with silver shine foil edging. 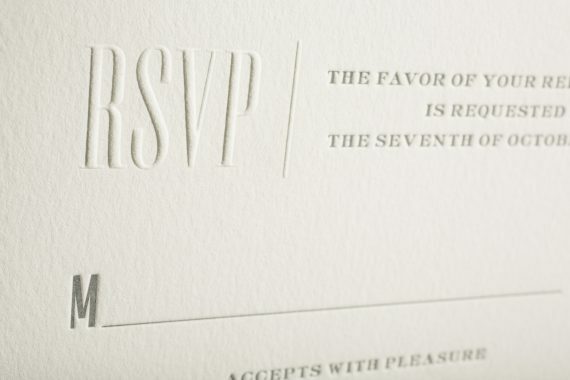 We letterpress printed an events card (4.625 X 6.25″) and a reply card (3.5 X 4.875″) to accompany the main invitation, adding a second blind embossed design element to make the “RSVP” stand out.